Successful (or even tolerable) pumping at work is all about routine. Get yourself in a groove and it starts to feel – well, not easy, but doable. But things change. Here are the 4 unexpected things that can upend your pumping-at-work life, for good or for bad. 1. You start traveling again. Business trips make everything crazier when it comes to pumping. You need a milk stash back at home, you have crazy logistics to figure out, and you’re probably going to be super busy on this trip. Take this one step at a time: Squeeze in an extra pumping session after every morning feeding, to start to build an at-home stash. 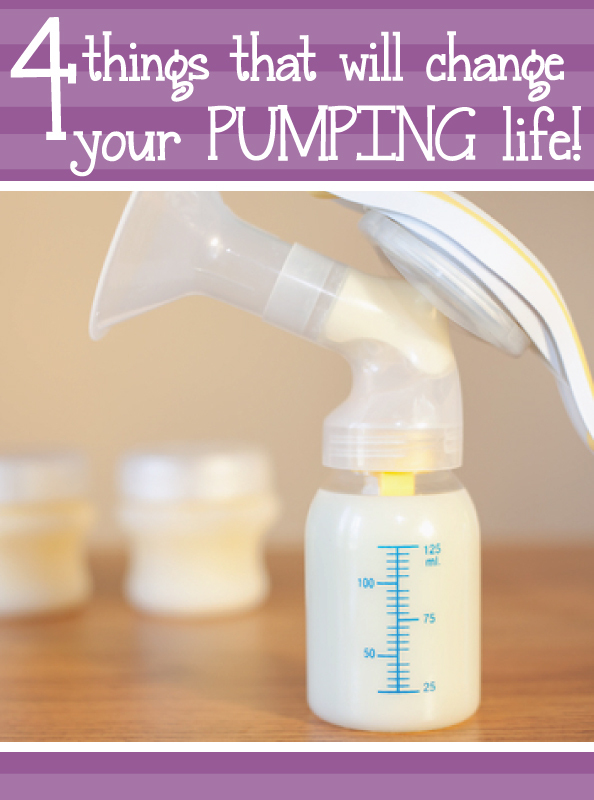 Learn how to fly with a pump and breastmilk. And call ahead to wherever you’re headed – including the hotel – to make friends and gain access to pumping and refrigerator space. 2. Your baby starts eating solid food. This one is awesome. As your baby starts to experiment with food, starting at around 6 months, she will slowly start to space out feedings. You might find that by 8 or 9 months you can drop to one pumping session in the middle of the work day. And that, ladies, feels like freedom. This happens to all of us. You’re chugging along, making your ounces every day, and then one day: gone. Maybe 50% output. Don’t panic. Lots of things can cause this, and it doesn’t necessarily mean you’ve lost your supply for good. Replace your pump’s little teeny membranes, which are way more important than they look. Snip off the ends of your tubes for a snugger fit. You can even take your pump in to a maternity shop and ask them to test it. Make sure you’re eating and drinking enough, and don’t assume that one bad day is the beginning of the end. 4. You realize that you can actually do this. This one is crazy. You spend every day freaking out, running late to meetings because you were pumping, spilling milk on your keyboard (tell the IT department it was coffee), and generally feeling like a mess. Then one day you realize you haven’t freaked out in days. Your co-workers know everything they need to know about what you’re doing, and you have a routine that works. You have the confidence to take the time and space that you need. And your body has calmed the hell down so if you’re an hour late to pump, you’re not just leaking milk all over your shirt. Ladies, this holy day actually happens – not to all of us, mind you, and that’s ok, too – and it is glorious. For me, the root cause of #3, was ovulation. I was about 6 months in to BFing, when all of a sudden – nothing. I could barely pump an ounce total. Every doctor, LC, and mom I talked to blamed stress, not drinking enough water, or the pump. If it wasn’t for scouring the internet for explanations, advice, and tips, I would have never known that ovulation can cause a dip in supply. I started taking calcium supplements and it really helped to keep my supply up when I was ovulating each month.